Show your school spirit with this super buttery soft tri-blend cotton T-shirt in turquoise made by NextLevel. This shirt features our brand new white-wave Bay Laurel logo design and is sure to be a favorite! This shirt comes in both Adult and Youth sizes as listed below. Show your school spirit with this super soft tri-blend cotton T-shirt in made by NextLevel. This shirt is cut specifically made for girls and comes in a beautiful Ice Blue color. The shirt features our brand new Bay Laurel dolphin-heart logo design and is sure to be a favorite for girls! This women's long sleeve, off-the-shoulder shirt comes in a soft poly-viscose blend fabric. This shirt features a draped silhouette and wide neckline that can be worn on or off the shoulder. This shirt features our brand new Bay Laurel dolphin-heart logo design, and it's perfect for Bay Laurel moms who support their student's education at our outstanding elementary school. This Women's tank is a super soft cotton blend featuring the Bay Laurel logo in a beautiful turquoise color. Show your kids how much School Spirit you have with this comfortable light-weight top! 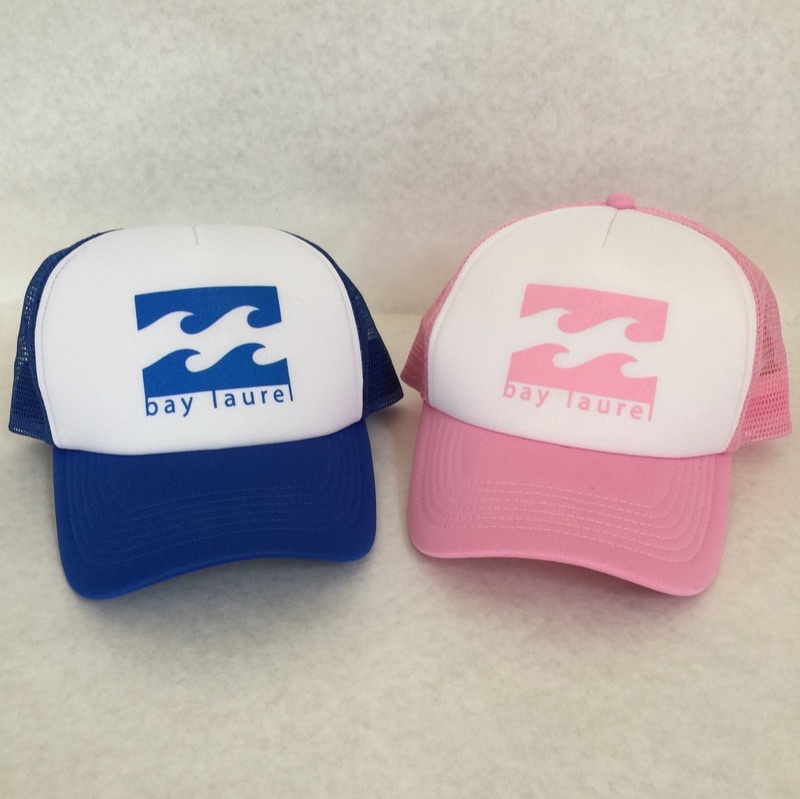 Students, parents, and grandparents will love wearing these super cool and trendy 'Trucker Caps' to show their Bay Laurel pride! These caps are adjustable in size and fit both kids and adults great!! We ordered limited quantities of these hats, so order yours today before they sell out! Students will stay hydrated all year long with this BPA-Free Straw-Sipper Sports Bottle - especially when they can refill it at our 3 awesome Hydration Stations on campus! This sturdy plastic bottle carries 20 oz of liquid and is a patented single-wall plastic bottle with a flip-up spout and two inner straws included. It's perfect for kid-sized hands.